Exploring Florida’s Botanical Wonders is a travel guide to the floral beauty of the one state best known for its flowers, Florida. From Appalachian-style ravines filled with columbine and trillium to tropical forests with colorful orchids and poisonous trees, Florida offers an unparalleled diversity of botanical beauty in its two time zones. 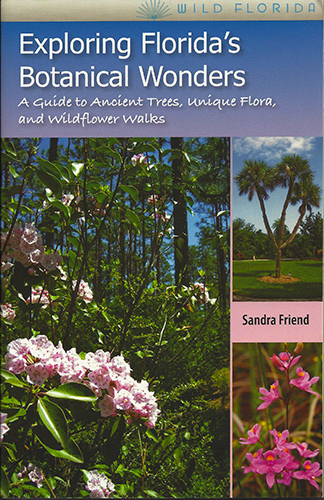 This book is your guide to finding ancient trees, unique flora – especially pitcher plants and tropical forests – wildflower walks, and our many public gardens, including both historic gardens and some of the world’s top botanical gardens. The book is organized by county within region, providing locations where you’ll enjoy botanizing and photography. Softcover, 296 pages with color plates.